The bright colored dragon tongue beans are considered a heirloom Dutch wax type green bean that originated in the Netherlands. 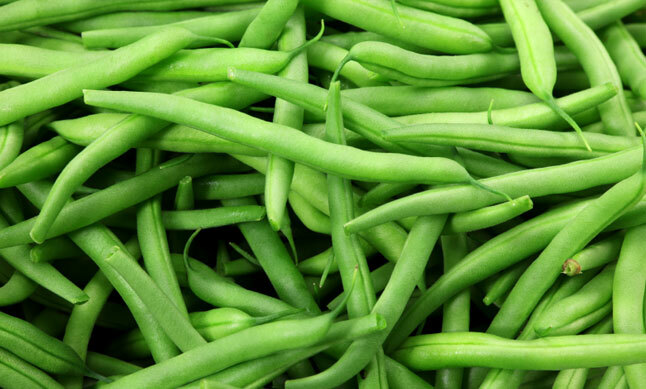 This yellowish-green bean with variegated purple strips is great both raw and cooked. Once cooked or pickled, the purple color tends to dissipate. Like other varieties of bush beans, dragon tongue beans have an edible shell. Just remove the stem end before cooking. If not serving raw, these beans will make a great addition to bean salads, stir fries, salads, or cooked on their own for a side dish. With corn, dragons tongue beans can be used to make a succotash that can be served as a main course or side salad. Store unwashed fresh beans pods in a plastic bag kept in the refrigerator crisper. Whole beans stored this way should keep for about seven days. Just prior to using the green beans, wash them under running water. Remove both ends of the beans by either snapping them off or cutting them with a knife. Green beans are a classic ingredient in Salad Nicoise, a French cold salad dish that combines steamed green beans with tuna fish and potatoes. Sautéd green beans are great with shiitake mushrooms. Or prepare the perennial favorite, green beans almondine, by sprinkling slivered almonds on healthy sautéed beans. 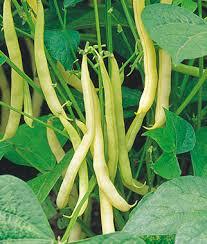 Yellow wax beans are a yellow version of the familiar green bean. If you won’t be eating them right away store in a sealed container in the refrigerator. If you would like to store beans for later usage they can be blanched, shocked and then frozen for winter use. Stringing is seldom necessary now that many varieties are stringless, but the stem end is often removed since it can be tough. Yellow wax beans are great for snacking on or served on a vegetable tray with your favorite dip. Yellow wax beans can be prepared just like green beans to make your favorite summer bean salad, or they can be added to many stir fry dishes.